Painting and Drawing classes: We emphasize on overall development of a child hence Painting and Drawing classes are a part of our curriculum to boost creative skills in a child. Our classes are for kids between the age group of 4 years and 15 years. Colouring , Painting, Water Colouring , Fabric Painting, Acrylic painting etc. Are taught in our Classes. We also focus on Art and Craft Classes. Paper Craft, Flower Making, Pot Painting , Fabric painting are few skills being taught. Hindi Tuition Classes: Individual and small group classes for Hindi for classes 1 to 10 is available with us. Learning Hindi especially when that is not used regularly can always be a challenge and difficulty for children. 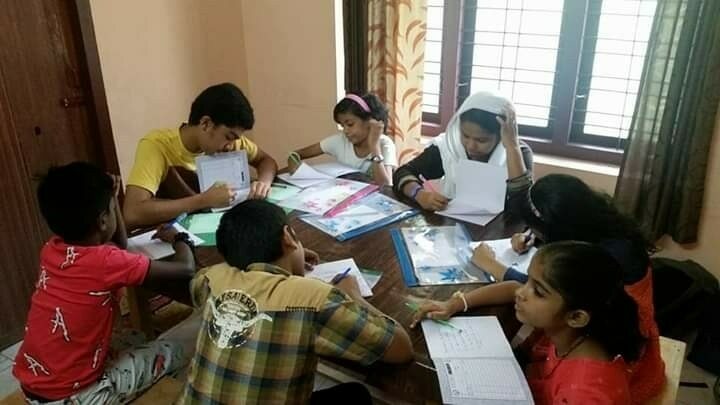 Our subjcet experts are not only subject experts but use hindi as a launguage and hence are well versed with Hindi speaking and writin skills.